Two experienced teachers, wonderful and easy to reach location, beautiful historical building, great value for money… this is a not to be missed Yoga event! This weekend yoga break is designed for everybody, from the complete beginner to the seasoned yogi. As we move into the darkest months of the year, why not treat yourself to the benefits of Yoga, breathing and Meditation. Replenish and restore your energies practicing in the embrace of Mother Nature. 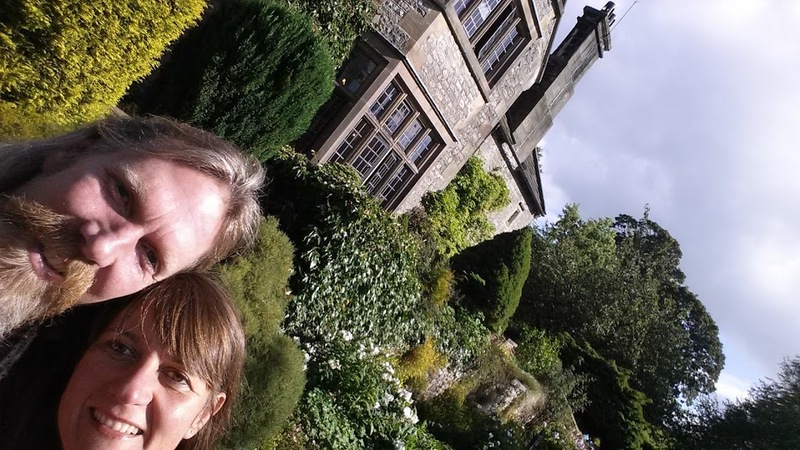 Take advantage of the full program offered by experienced and dedicated Andrew and Francesca and enjoy the peaceful location, stunning countryside and the charming village of Hartington with its lovely shops and ancient pubs. Hartington Hall in the Derbyshire Dales is surrounded by some of the UK most beautiful countryside with plenty of gorgeous walks available…. or if the weather is not inviting, enjoy some time by the fire in the beautiful Hartington Hall. Arrival Friday 21st of November by 6 pm. Evening Meal from 6.30 to 7.30. Introduction and unwind session from 8 to 9 pm. 8 pm onward: Meditation, movement and more…. Very limited amount of single rooms available to those who book in first – 2 and 3 bedroom rooms available. All rooms have shower, some rooms are ensuite. Contact Andrew / Francesca at [email protected] – phone 07909 144 414.